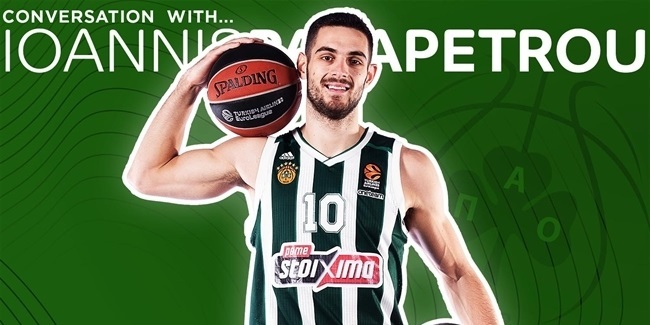 From the very beginning of Panathinaikos OPAP Athens's road victory over Darussafaka Tekfen Istanbul on Thursday night, it was clear that Georgios Papagiannis was highly motivated. He had a put-back slam on the Greens' first possession and another put-back on their second. In fact, the 21-year-old talent never really cooled down. Papagiannis went on to record his first EuroLeague double-double with 14 points, 12 rebounds and 3 blocks. He only missed 1 shot, set career highs in rebounds and performance index rating (26) and tied his personal bests in scoring and blocks. As it turns out, the performance was exactly what Coach Rick Pitino demanded from him before the game. "I've got a special relationship with him," Pitino explained in the post-game press conference. "I told him you can be one of the better players in the EuroLeague if you play every possession. And you're the only one right now who hasn't brought a great game, so I want to see you get a double-double tonight and he came through for us." It's been a rocky road for Papagiannis, who first joined Panathinaikos when he was 17 years old. He debuted in the EuroLeague with six games in the 2015-16 season and was selected that summer in the NBA Draft Lottery. Papagiannis played sparingly in two seasons with Sacramento and Portland before deciding to return home this season. Back in a comfortable setting and with the prodding of Coach Pitino, Papagiannis is shedding the rust and beginning to show his true talent. If he is able to meet his coach's expectations and fulfill his vast potential, the Greens have a budding star. 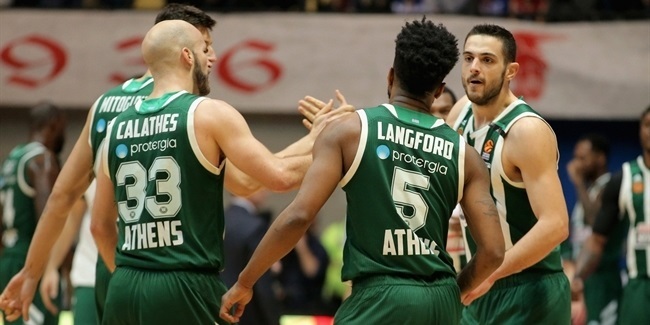 And his breakout couldn't have come at a better time for Panathinaikos as it mounts a charge for a playoff berth.